These stylish studs provide a sparkle suited from everyday to eveningwear. Each earring boasts a trio of shimmering multi-coloured swarovski crystals in a multi-shaped display. 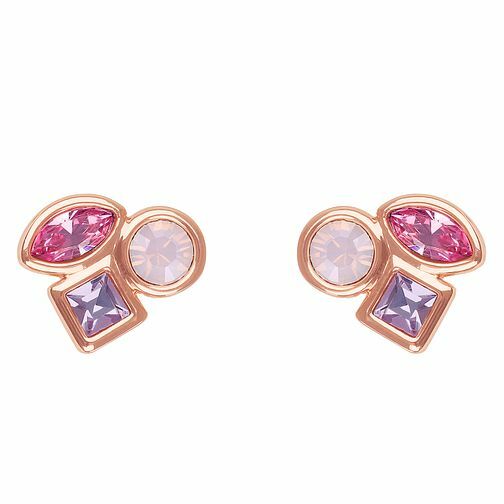 Crafted in a chic rose gold tone, these studs are sure to compliment every occasion.